Dr Muhammad Imran Malik completed his PhD in Polymer Chemistry from Karl-Franzens Universitaet, Graz, Austria in 2009. Later he joined research group of analytical polymer science of Prof Harald Pasch in department of chemistry and polymer science, Stellenbosch University, South Africa (2010-2011). In January 2012, he joined H.E.J. Research Institute of Chemistry, International Center for Chemical and Biological Sciences (ICCBS), University of Karachi as an Assistant Professor. PI won HEC overseas scholarship for PhD in Austria and Claude Leon foundation postdoctoral bursary. Dr Malik spend year 2015 in Korea working as “Postdoctoral Research Scientist” in the research group of Prof Taihyun Chang at POSTECH. He is member of The Chemical Society of Pakistan and The Polymer Society of Korea. He is also ambassador of Asian Council of Science Editors. University of Karachi awarded him with “Nishan-e-Zafar” for meritorious services for Education and Research in 2014. He was also selected to represent Pakistan in TWAS young scientist meeting at Bangalore, India in 2014. 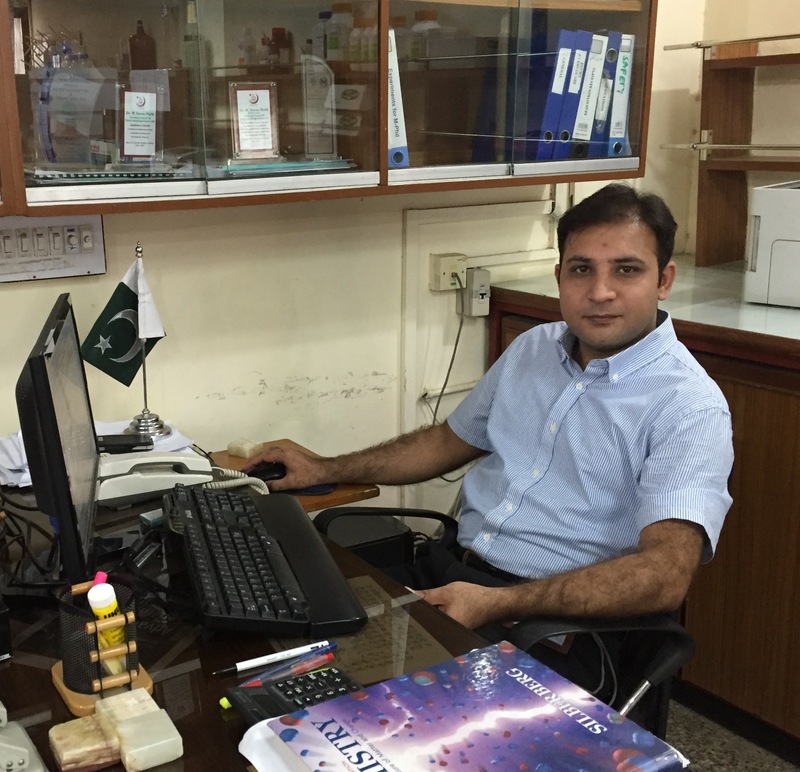 Dr Malik At position number ‘36’ in the List of Productive Scientists of Pakistan, released by Pakistan Council of Science and Technology (2016).His major research focus is characterization of complex polymers. The synthesis of various fascinating structures such as blocks, grafts, stars, dendrimers etc, microwave-assisted polymerizations, multi-dimensional characterization of complex polymers and development of structure-property correlations are the other research areas of interest. Dr. Malik has published a book entitled “Advanced Separation Techniques for Polyolefins”.He has many publications in international scientific journals with high impact factor. 3.Novel multidimensional techniques for polymer characterization. 5. Coupling of liquid chromatography and spectroscopy (FTIR, MS, NMR). 7.Synthesis of different architectures of polymers. 8. Development of structure-property correlations.